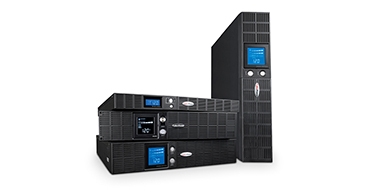 Protect sensitive electronics and equipment during power surges and blackouts with an Uninterruptible Power Supply (UPS) system from our extensive line including standby, line-interactive, and double-conversion models, with backup capacities ranging from 350 VA to 10,000 VA. Key features include sine wave output, energy-saving GreenPower UPS™ design, data-line protection, and power management software. 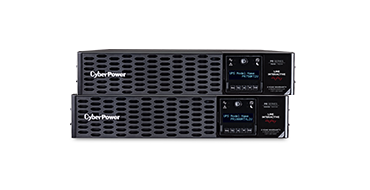 CyberPower Smart App Online rack/tower UPS models, with double-conversion topology, provide sine wave output to mission-critical applications and equipment requiring seamless power correction. These units offer generator compatibility and deliver clean AC power with zero transfer time. 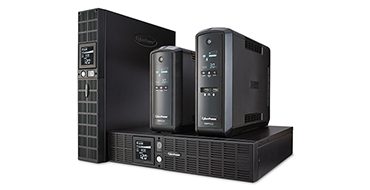 CyberPower has launched a customer-inspired Uninterruptible Power Supply (UPS) series, the New Smart App Sinewave UPS systems. 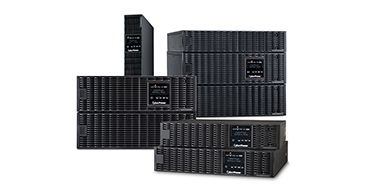 This series is the next generation of professional-grade UPS systems for corporate applications and has line-interactive topology, surge protection, and battery backup. The New Smart App Sinewave Series has sine wave output to eliminate power gaps that can be detected by sensitive equipment and cause unexpected shutdowns. 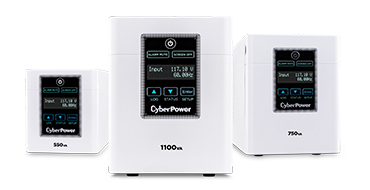 CyberPower Medical Grade UPS systems have been designed to power and protect sensitive equipment in hospitals and healthcare facilities. Each medical UPS is UL 60601-1 tested to provide standby power in patient-care settings and comes with hospital-grade plugs and hospital-grade outlets, and a built-in isolation transformer. 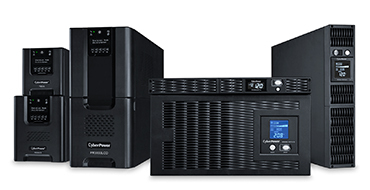 PFC Sinewave UPS systems from CyberPower, designed with line interactive topology, offer guaranteed power protection for individual work areas, home networking hardware and devices, entertainment electronics, department servers, networking and telecommunications hardware, and equipment (including high-end audio/visual equipment) requiring Active PFC power source compatibility. They provide sine wave output and correct minor power fluctuations without switching to battery, thereby extending battery life. Features include a multifunction LCD panel, Automatic Voltage Regulation (AVR), energy-saving GreenPower UPS™ design, data line protection, and management software to easily control and monitor your UPS. Intelligent LCD UPS systems from CyberPower are designed with line interactive or standby topology and offer guaranteed power protection for desktop computers, workstations, routers, modems, gaming consoles, and home theater equipment. They provide simulated sine wave battery backup power during outages, maintain steady voltage during brownouts, and offer surge protection against over voltages and power spikes. Features include an LCD status panel, Automatic Voltage Regulation (AVR), energy-saving GreenPower UPS™ Design, data line protection, and management software to easily control and monitor your UPS. CyberPower Ecologic UPS systems, designed with standby topology, offer guaranteed power protection for individual home and small office computer systems. They provide simulated sine wave battery backup power during outages, maintain steady voltage during brownouts and blackouts, and offer surge protection against over voltages and power spikes. Features include a multifunction LCD panel, ECO mode outlets, energy-saving GreenPower UPS™ design, data line protection, and management software to easily control and monitor your UPS. 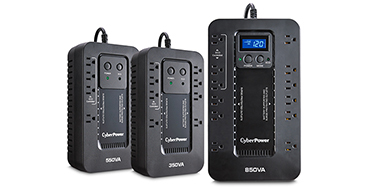 AVR UPS systems from CyberPower, designed with line interactive topology, offer guaranteed power protection for desktop computers, workstations, personal electronics, and home networking/VoIP. 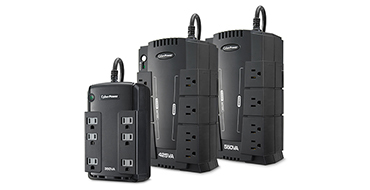 They provide simulated sine wave battery backup power during outages, maintain steady voltage during brownouts, and offer surge protection against over voltages and power spikes. Features include Automatic Voltage Regulation (AVR), energy-saving GreenPower UPS™ design, data line protection, and management software to easily control and monitor your UPS. 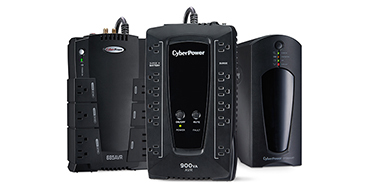 Standby UPS systems from CyberPower, designed with standby topology, offer guaranteed power protection for desktop computers, workstations, personal electronics, and home networking/VoIP. They provide simulated sine wave battery backup power during outages, maintain steady voltage during brownouts and blackouts, and offer surge protection against over voltages and power spikes. Features include energy-saving GreenPower UPS™ design, data line protection, and management software to easily control and monitor your UPS. 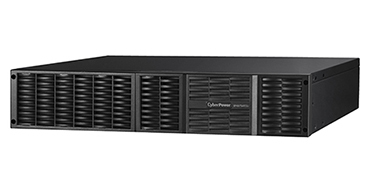 Optimize the operation of Smart App UPS systems with our CyberPower Hardware products. Our Remote Management Cards (RMCARDs) provide remote management and configuration of a compatible UPS via a standard Web browser or network management system. Our environmental sensor, (ENVIROSENSOR) monitors the status of four connected devices, such as door alarms and security switches. When used with select RMCARDs, the sensor also provides real-time temperature and humidity readings of a datacenter, IT closet, or other critical environment. 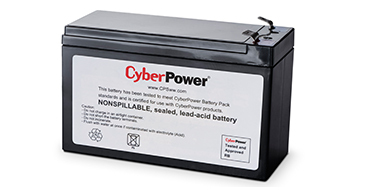 CyberPower UPS Replacement Battery Cartridges restore life to CyberPower UPS systems that have weak or completely depleted internal batteries. Our replacement battery cartridges contain from one to four leak-proof, sealed lead-acid batteries, which meet or exceed original manufacturer specifications and never require replacement fluid. The pre-assembled cartridge installs easily in your CyberPower UPS system and is shipped with reusable packaging for delivering expired batteries to a suitable recycling center. All CyberPower replacement battery cartridges come with instructions, recycling information, and an eighteen-month warranty. 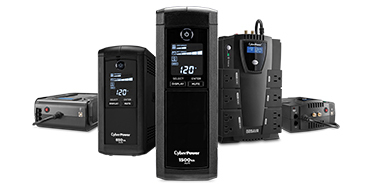 Extended Battery Modules (EBMs) from CyberPower, for select Smart App UPS models, ensure extended battery runtimes during power outages. Each rack/tower convertible EBM takes up 2U or 3U of rack space, depending upon the model, and can be installed in a tower form factor to match the UPS. 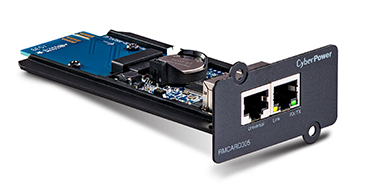 The DC plug-and-play power connectors allow for daisy-chaining additional EBMs to an UPS system. The EBMs compatible with Smart App Online UPSes also have a built-in battery charger, providing Fast Charge Technology to quickly restore the backup power supply to full capacity Every CyberPower EBM has a three-year warranty. 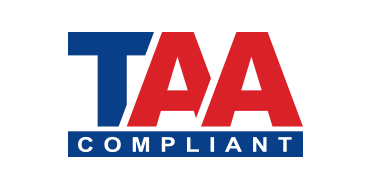 CyberPower Gov/Ed/TAA UPS systems and related products comply with standards set by the U.S. Trade Agreement Act (TAA). These TAA products optimize energy efficiency and are listed on the GSA Schedule Contract for approved use in government installations.